Aircraft War Zone is the game designed and developed for the iPad users who love playing games based on war-field in their leisure time. Mission based game and result points will be provided based on Time and Life. For completing mission, the game provides 2 types of Aircrafts that is – T50 & F22. During mission, aircraft is attacked by various enemies such as Aircraft SU37, S17, Asteroid, and Attacker. User requires to save Aircraft from being shot and destroyed from enemy shots (bullets). The game provides 5 lives and game will be over once all lives are utilized. “The Thirsty Crow” game is based on the original folktale (moral story) of thirsty crow, stones & water. By inspiring from the same story, “The Thirst Crow” app has been designed and developed specially for small aged kids. Throw stones in the direction of the flying crow’s beak and then drop stones in the container. With each stone dropped the water level rises slowly till the crow can drink it and that will be the end of the level. Here the difficulty at each level rises by increasing speed of Crow and number of stones required to raise the water level. ‘Save The Beetle’ – An App designed and developed for saving the beetle from fireballs and eating bugs to earn reward points. The application completely designed in a leaf design where a Beetle moving on leaf and user has to save the beetle from fireballs. Difficulties in the game are Random Particle Attacks, Speedy Fire Attacks, Ball attacks, Time-limit and Negative Points. If the Beetle is hit by the fire ball you lose ONE out of three lives. A bouncing ball game that drives the users crazy bydestroying the robots with bouncing ball on paddle. This crazy ball bounces top, left, right sides to break the layers robots hanging on the top. As the ball moves down, user needs to hit the ball using moving paddle. To prevent the ball from touching the bottom of the screen, user has to keep moving the paddle to bounce the ball upward to destroy the robots. If user misses to bounce the ball using paddle and ball touches the bottom of the screen. IF the ball touches the bottom more than 3 times then user is out for the level. Complexity of game increases as the user moves up. An app designed specifically to fit into each and every age group for an energetic entertainment. Though the boxing game is vastly liked by teenagers, this application successfully balances to capture and hold the interest of any gamer. Single or two player game that uses accelerometer feature to measure the impact of the shake on the punching bag. Two players’game works on a peer-to-peer network topology, where two players can play simultaneously. Each game has 12 rounds and the score of each round is summed-up. The winner is the user with the highest score after 12 rounds of play. Shake your mind using 7 brilliantly logic-based games in single mobile app. Create more boxes quickly by connecting the dots one after the other turn-wise. 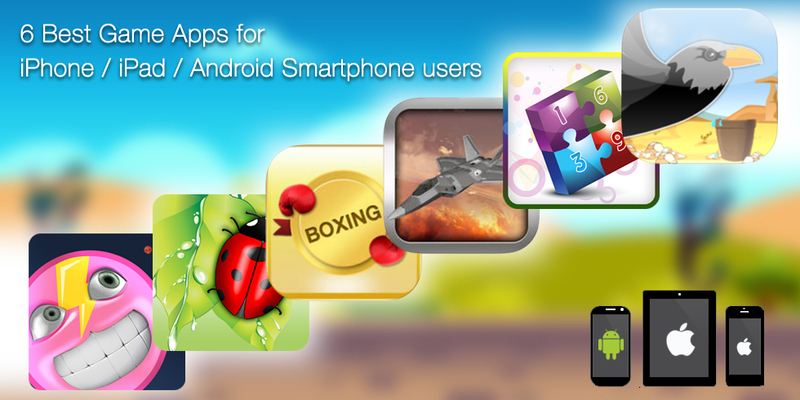 Nowadays, Game applications are developed with more innovative and creative ideas. So if you have unique ideas for game development then contact Semaphore software through info@semaphore-software.com.